Hello. 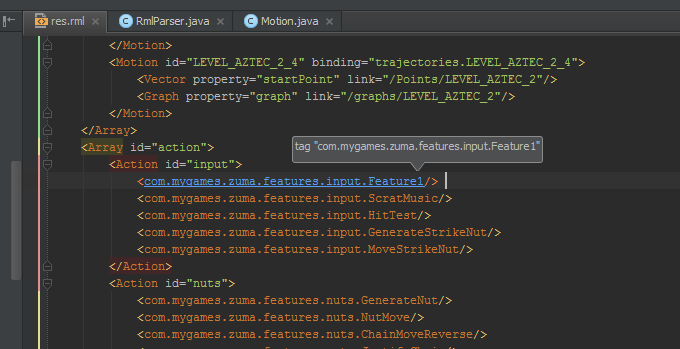 Is there any way to jump to java source file from inside of xml file by clicking on tag that is canonical class name? At this moment it does not work for me this way. Type enter or select the appropriate class and type enter. If desired, you can record a macro (Edit > Macros) and map it to a short cut (File > Settings > [IDE Settings] > Keymap > [Macros]). If recording a macro, do the version which types Ctrl+W twice so it works regardless of where you are in the name (and it is more accurate since ti finds the fully qualified classname).